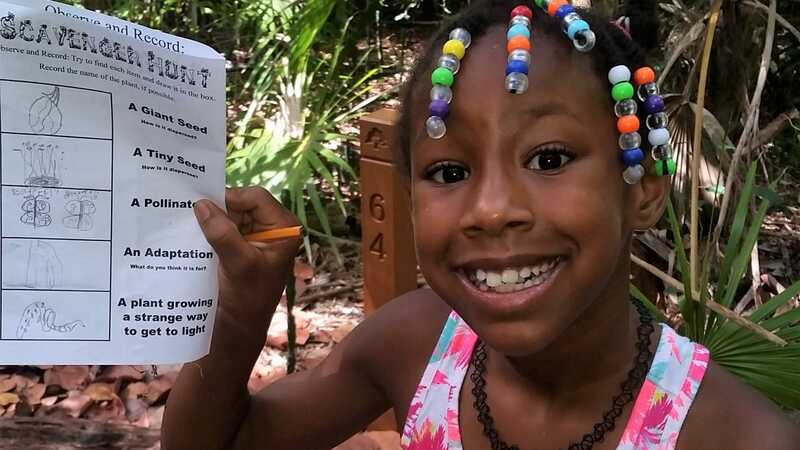 The Key West Tropical Forest & Botanical Garden is the only frost-free botanical garden in the continental United States.The garden advocates the importance of native plants and species through education in a natural conservation habitat. Scroll down for news and information you’ll want to enjoy the tropical forest and botanical garden. Thank you to our latest partner, Blue Star Museums. Blue Star Museums is a collaboration among the National Endowment for the Arts, Blue Star Families, the Department of Defense, and museums across America. Each summer since 2010, Blue Star Museums have offered free admission to the nation’s active-duty military personnel and their families from Memorial Day weekend through Labor Day. There is a public bus stop at the Garden. View the Key West bus schedule. From downtown Key West the blue or red line is your best option. From Highway US 1 South, turn right at the stoplight onto College Road. Turn right at the Garden entrance. Follow the signs to parking. From Old Town or the beaches, cross the Cow Key channel bridge from Key West and take first left onto College Road at the stoplight. Turn right at the Garden entrance. Follow the signs to parking. 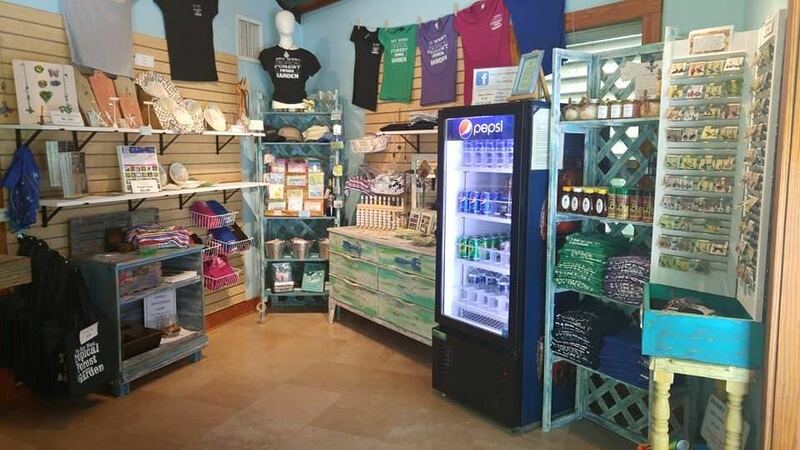 Enjoy a cold beverage, shop for mementos and gifts including locally handmade items. The Garden is visited by numerous species throughout the year. Both migrating and locally situated, birders have a great time searching for their missing species on their lifetime checklist. To see what different types of birds have been sighted in the Key West Tropical Forest & Botanical Garden recently, visit our Bird Sightings Page. Or pick one up at the visitor center and try your luck on your next visit. The Garden is home to several trees that have been listed in the National Champion Tree Database. Although many suffered significant damage during Hurricane Irma in September 2017, others survived for the enjoyment of our visitors. Visit the Champion Trees Page to learn more about these fine specimens and see the map of their locations. 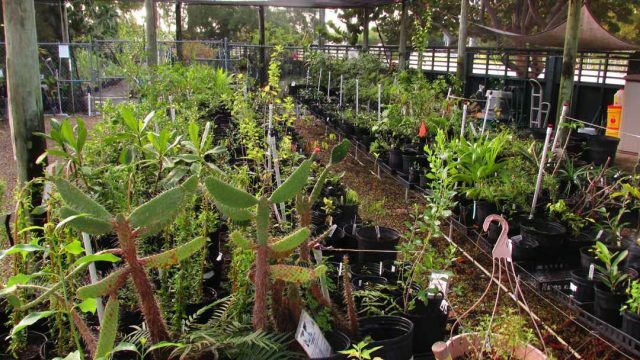 The Key West Botanical Garden Nursery provides plants native to the Florida Keys, Cuba and the Caribbean Basin for Key West Tropical Forest & Botanical Garden plant replacement, new exhibits, sales and educational opportunities and provides plants for restoration sites. We propagate and care for 150+ plant species that are native to the Florida Keys and 20+ plant species native to Cuba and the Caribbean Basin. 40% of the Florida Keys natives are considered threatened, endangered or commercially exploited. The Nursery is involved with the Florida state Endangered Plant Advisory Council (EPAC) and has received multiple grants from the group. Education is an important part of the Nursery’s function. The Nursery provides workshops, discussions, and tours for school groups, Garden Clubs and individuals. It is a platform for events and Education Department programs. The Nursery has had interaction with City of Key West and Monroe County Extension services through shared projects and event involvement.. The third Saturday of each month we open the the nursery from 9 a.m.-Noon for the general public to purchase select inventory. There is an outdoor display of various boats, rafts and homemade vessels at the Garden. Over the years we have collected these as a part of Keys history. See the human ingenuity and determination up close and in person. Many visitors are amazed that these vessels actually carried people across the Florida straits. A report to the Endangered Plant Advisory Council of the State of Florida regarding a garden collection, propagation and outplanting project. Learn about the history of this unique place and where some of the original buildings and were and the traces left from years past. Learn about the different habitats of this unique place and the rare species of trees that inhabit them. Learn how you can help by planting native species instead of exotic invasives. View the map of the locations of all of our current and former champion trees. Note: Hurricane Irma in September 2017 damaged or destroyed many of our champion trees. Pick one up on your next visit or download right here.